Die Amerikanischen Investoren, fast immer Kriminelle, oder vorbestrafte Betrüger, sind praktisch alle weg aus Albanien. Mangels Justiz, verschwinden die Investoren, die Albaner, weil Willkür vr allem auch der Besetzung der Küstengrundstücke System ist wie die Landräuberei und Dokumenten Fälschung. Gefälschte Dokumente, inklusive Tausender gekaufter Führerscheine, werden von Deutschland, Griechenland anerkannt, was die Haupttätigkeite der vielen Mafia Konsulate und der Botschaft in Berlin ist. Albanische Tender, Funds, werden gezielt gestohlen, über Phantom Firmen, was ein altes Albanisches Modell ist, wo diesen dreisten Diebstahl des Verbrechens, Angela Merkel, Johannes Hahnn, Knut Fleckenstein, die EU Mafia Bande vor Ort, auch noch als Fortschritt verkauft, inklusive der gekauften Wahlen in 2017. 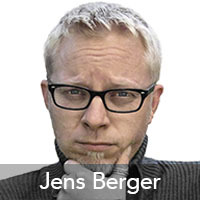 Erfolgsmodell der Albaner Mafia! Geduldet nach dem Deutschen Modell des Ludgar Vollmer mit der Bundesdruckerei. Jeder gesuchte Kriminelle, erhält eine neue Identität, darf nach Deutschland und in die EU einreisen und Erfolgsprämien, für die kriminellen Regierungspartner in unbegrenzter Höhe, durch Betrugs Projekte der KfW, GIZ, EBRD und EIB Bank. 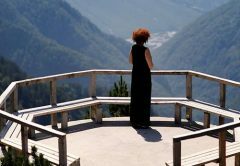 Albania is an upper middle-income country with a GNI per capita of USD 4,180 (2016) and a population of approximately 2.9 million people, around 45 percent of whom live in rural areas. According to IMF estimates, real GDP increased by 3.8 percent in 2017, and growth is expected to reach 3.9 percent annually from 2018 to 2020. Albania received EU candidate status in June 2014. 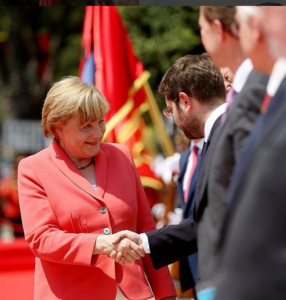 In November 2016, the European Commission recommended the opening of EU accession negotiations with Albania, conditioned primarily upon implementation of a judicial reform package passed earlier the same year. In April 2018, the EU Commission recommended the opening of accession negotiations, and the Council of the European Union will review this recommendation in June 2018. 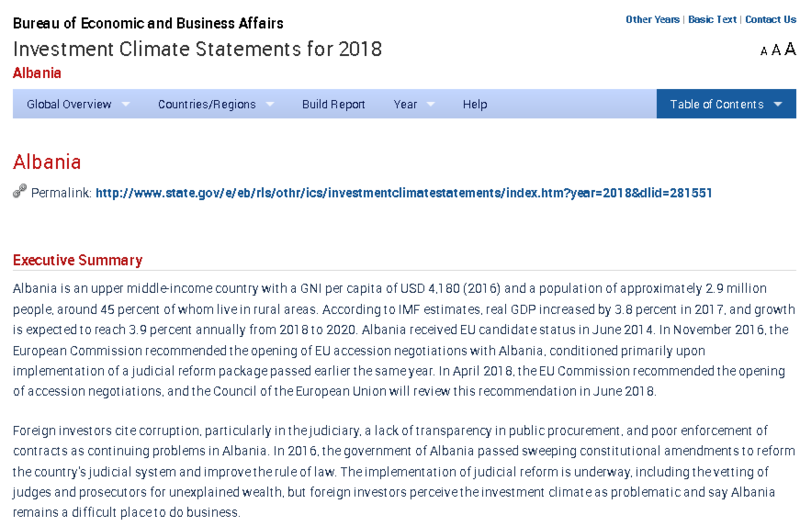 Foreign investors cite corruption, particularly in the judiciary, a lack of transparency in public procurement, and poor enforcement of contracts as continuing problems in Albania. In 2016, the government of Albania passed sweeping constitutional amendments to reform the country’s judicial system and improve the rule of law. The implementation of judicial reform is underway, including the vetting of judges and prosecutors for unexplained wealth, but foreign investors perceive the investment climate as problematic and say Albania remains a difficult place to do business. Investors report ongoing concerns that regulators use difficult-to-interpret or inconsistent legislation and regulations as tools to dissuade foreign investors and favor politically connected companies. Regulations and laws governing business activity change frequently and without meaningful consultation with the business community. Major foreign investors report pressure to hire specific, politically connected subcontractors and express concern about compliance with the Foreign Corrupt Practices Act while operating in Albania. Reports of corruption in government procurement are commonplace. The increasing use of public private partnership (3P) contracts has narrowed the opportunities for competition, including by foreign investors, in infrastructure and other sectors. Poor cost-benefit analyses and a lack of technical expertise in drafting and monitoring 3P contracts are ongoing concerns. The government had signed more than 200 3P contracts by the end of 2017. Property rights remain another challenge in Albania, as clear title is difficult to obtain. Some factors include unscrupulous actors who manipulate the corrupt court system to obtain title to land not their own. 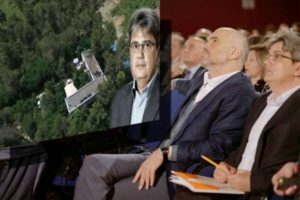 Compensation for land confiscated by the former communist regime is difficult to obtain and inadequate. Meanwhile, the agency charged with removing illegally constructed buildings often acts without full consultation and fails to follow procedures. World Trade Organization (WTO) completed a Trade Policy Review of Albania in May 2016 (https://www.wto.org/english/tratop_e/tpr_e/tp437_e.htm). In November 2017, UNCTAD completed the first Investment Policy Review (IPR) of South-East European (SEE) countries, including Albania (http://unctad.org/en/pages/PublicationWebflyer.aspx?publicationid=1884). Law 7764/1993 “On the Foreign Investments” amended by the Law 10316/2010. Authorities responsible for mergers, change of control, and transfer of shares include, the Albanian Competition Authority (ACA; http://www.caa.gov.al/laws/list/category/1/page/1 ) which monitors the implementation of the competition law and approves mergers and acquisitions when required by the law; and, the Albanian Financial Supervisory Authority (FSA; http://www.amf.gov.al/ligje.asp ) which regulates and supervises the securities market and approves the transfer of shares and change of control of companies operating in this sector. 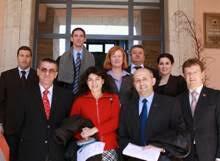 Investors in Albania are entitled to judicial protection of legal rights related to their investments. Foreign investors have the right to submit disputes to an Albanian court. In addition, parties to a dispute may agree to arbitration. Albania is a signatory to the New York Arbitration Convention and foreign arbitration awards are typically recognized by Albania, although the government refused to recognize an injunction from a foreign arbitration court in one high profile case, in 2016, calling into question the government’s commitment to arbitration (this refusal was later reversed). The Albanian Civil Procedure Code outlines provisions regarding domestic and international commercial arbitration. 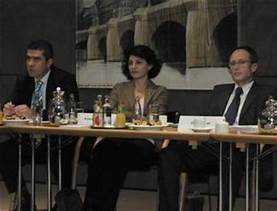 Many foreign investors complain that endemic judicial corruption and inefficient court procedures undermine judicial protection in Albania and seek international arbitration to resolve disputes.……………. There are many ongoing disputes regarding properties confiscated during the communist regime. Identifying ownership is a longstanding problem in Albania that makes restitution for expropriated properties difficult. The restitution and compensation process started in 1993, but has been slow and marred by corruption. Many US citizens of Albanian origin have suffered from long-running restitution disputes. Court cases drag on for years without a final decision, forcing many to refer their case to the European Court of Human Rights in Strasbourg, France. To date, the Court has issued around 29 decisions in favor of Albanian citizens in civil cases involving protection of property with an assessed financial cost of approximately USD 50 million. Approximately 400 applications are pending for consideration. Even after settlement in Strasbourg, enforcement of decisions is slow.…………………..
Real Estate is registered at the Immovable Property Registration Office (IPRO). The procedures are cumbersome and registrants have complained of corruption during the process. Recent changes to legislation allow a notary public to have access to real estate registers and confirm the legal ownership of property. The process of registering property remains cumbersome and difficult to navigate. For large transactions, it is advisable to hire an attorney to check documents and procedures for property registration. The government has drafted and passed property legislation in a piecemeal and uncoordinated way. Reform of the sector has yet to incorporate consolidation of property rights or the elimination of legal uncertainties. Immovable property rights enforcement is inefficient and cited as a common source of corruption. Through international donor assistance, the registration system has improved. The initial property registration process has seen progress, but the finalization of the process has stalled in recent years. Approximately 15 percent of properties nationwide are unregistered, mostly in urban and high value coastal areas. Illegal construction is a major impediment to securing property titles. The legalization process to address large-scale illegal construction started in 2006, and is still underway. There are an estimated 440,000 illegal buildings in Albania. In an attempt to legalize property and punish illegal construction, the government’s National Urban Construction Inspectorate (INUK) began a building demolition campaign in late 2013. There were credible reports that the government demolished some homes without due legal process as part of a wider campaign to demolish illegally constructed buildings. Citizens also submitted complaints that INUK ignored citizens‘ requests to demolish some illegal buildings while choosing to demolish other buildings about which citizens had not complained. Foreigners and/or foreign entities can purchase commercial land only if the investment is more than three times the value of the land. Farmland can be leased, not owned, for up to 99 years. According to the 2018 World Bank’s Doing Business Report, Albania performed poorly in the registering property category, ranking 103 out of 190 economies. It takes 19 days and six procedures to register property and the associated costs can reach 9.6 percent of the total property value. Im Albanischen Mafia Parlament, wo der Bericht praktisch nicht diskutiert wurde, weil es Standard ist. Source: IMF’s Coordinated Portfolio Investment Survey (CPIS). Die Ausbildungs Mafia der Georg Soros – DAAD, ist ein Betrugsgeschäfts MOdell der Deutschen Regierung. GITECH Consult, kassierte von der GTZ schon vor 15 Jahren, 2,5 Millionen € für die Ausbildung von 8 Kommunalen Beamten, welche man bis heute sucht. 50 Parteibuch Militante, haben dort einen Job, obwohl ohne jede Qualifikation, wie Edi Rama’s Hafenmeister von Durres. 1 : 1 übernommen das Idioten Parteibuch System der Deutschen, wo auch noch die Dümmsten es bis zur Verfassungsrichterin, zum Aussenminister schaffen können! Die Edi Rama Frau: Belinda Balluku, hat wie Andere ein vollkommen gefälschtes Diplom, was Standard ist in den Regierungs Apparaten, wo Kriminelle sind Pässe kaufen. Im seit 2016, werden Bankkonten, Vermögenswerte von AlbControl beschlagnahmt, weil Rechnungen nicht bezahlt werden. 1 : 1 das Deutsche Modell kopiert: korrupte Idioten werden Minister, übernehmen Institutionen, ohne jede Berufserfahrung und realen Bildung. Vettern Wirtschaft ohne Ende und ohne Qualifikationen. Belinda Balluku, Cehfin von AlbControll Kompetenz Null. Betrugs Modell von Edi Rama, Georg Soros Leuten, wie Endri Fuga der SChwulen Club von Georg Soros inklusive dem Justizministerium hat Albanien übernommen. Vorbild der dumme Deutsche Aussenminister Heiko Maas, der nicht einmal den Mund einmal halten kann, korrupte Botschafterinnen, welche nur noch Foto Termine mit Kriminellen machen und Frank Walter Steinmeier sowieso. Wenn extremn Dumme auch noch Aussenminister werden, dann werden diese peinlichen Selbstdarsteller, unerträglich. Im politischen Streit um den Fall Özil machen die Grünn Innenminister Seehofer schwere Vorwürfe. 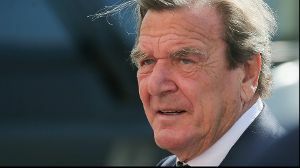 Doch auch Altkanzler Schröder schaltet sich ein – und attackiert einen Genossen. Eurocontroll bietet feste Ausbildungs Kurse an, für die Mitglieder. Trotzdem darf sich auch hier wieder eine korrupte dumme Frau tummeln, als Chefin wie vor5 Jahren, verkauft im Deutschen Betrugs System Ausbildungen für 8 angebliche Lotzen, ebenso teuer wie DAAD, GTZ und niemand weiß wer ausgebildet wurde. 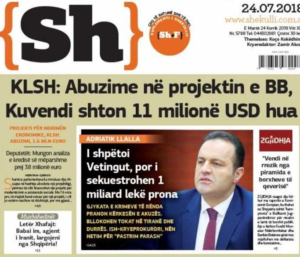 Albcontrol sërish jashtë kontrollit, 420 milion lekë për të trajnuar 8 punonjës! EU Modell: die verurteilten Mörder, Drogen Bosse und Kinderhändler werden frei gelassen und im Tausender Paket nach Albanien zurück geschickt, wo man vor allem an der Küste, neue Verbrechens Zentralen über Lokale, Hotels, Appartment Blocks aufbaut, betreibt und EU und KfW finanziert. Das wird im Hundertausender Paket schon durch die Deutschen Aussenminister ebenso praktiziert, als man Kriminelle aus Kosovo Verbrecher Clan Familien mit der Bundeswehr in den Kosovo schickte, um die Geldwäsche Modelle der Deutschen Aussenminister umzusetzen als Drogen Verteilstelle, der Produktion in Afghanistan. Pas një hetimi nga Prokuroria e Durrësit për skandalin e tokave në Ishëm, janë dërguar në gjykatë për masat e sigurisë 8 persona, ndër ta dhe ish-kryekomunari i Partisë Socialiste, Sulejman Ibrahimi. “Sulejman Ibrahimi, datëlindja 01.04.1968, lindur dhe banues në Durrës, i padënuar më parë, i hetuar me masë sigurimi “Arrest në Burg” (vendimi nr. 43, datë 08.02.2018. Akuzuar: Se ka kryer veprën penale “Falsifikimi i dokumenteve”(Ndryshuar me ligjin nr. 9188, datë 12.2.2004) e kryer në bashkëpunim (rastet I. a,b,c,d), “Shpërdorimi i detyrës” (ndryshuar me ligjin nr. 9686, datë 26.2.2007) (rastet II. 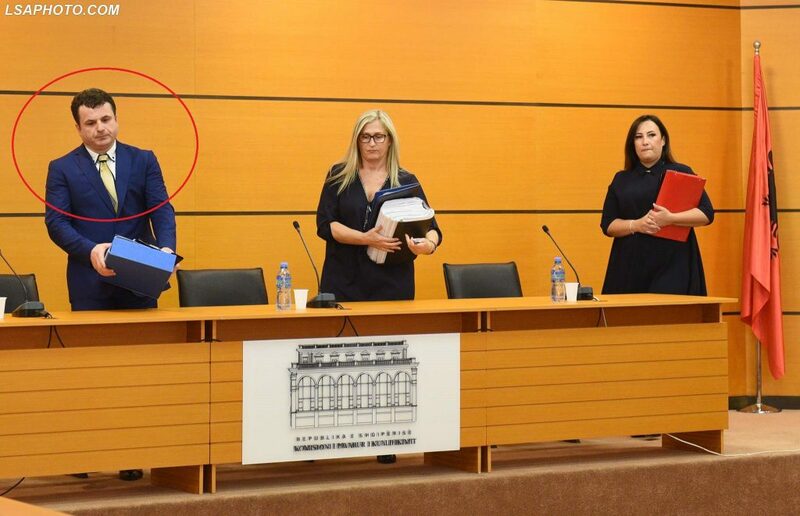 a,b,c) dhe “Korrupsioni pasiv i personave që ushtrojnë funksione publike” e kryer në bashkëpunim, parashikuar nga neni 186 pgr.3 – 25 x 4, 248 x 3 dhe 259 – 25 të Kodit Penal’, shkruhej në njoftim. Prokuroria e Durrësit mbyll hetimet për abuzimin me pronat në Ishëm dhe Gjirin e Lalëzit dhe dërgon për gjykim 8 persona, 7 prej të cilëve akuzohen për falsifikim të dokumentave. Katër nga të pandehurit janë Sulejman Ibrahimi, ish- Kryetar i Komunës Ishëm, Ornela Shëmlikaj me detyrë sekretare arshive, Enver Shima, me detyrë ish- përgjegjës i zyrës së Bujqësisë dhe Shpresa Merdita, me detyrë ish- punonjëse e zyrës së Urbanistikës Ishëm. 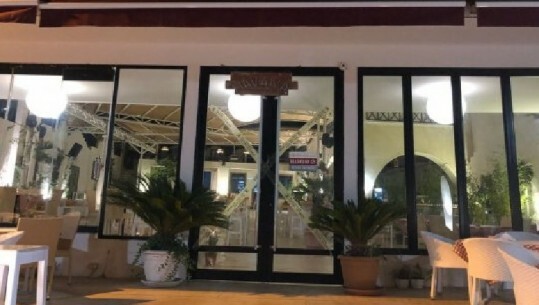 Hetimi i kryer nga institucionet ligjzbatuese në Durrës ka nisur për shkak të abuzimit me ndarjen e tokave dhe të disa kontratave qiraje për dhënie të hapësirës publike të plazheve Ishëm dhe Gjiri i Lalëzit. Nga auditi i kryer është konstatuar që në ish-komunën Ishëm funksionarët kanë lidhur 10 kontrata për dhënie me qera të hapësirës publike për plazh me rërë me kohëzgjatje 10 vjet. Bëhet fjalë për një njësi përfaqe 81086 m2 e dhënë gjatë viteve 2013-2015. Sipas ligjit, parcelat duhet të jepeshin me një kontratë 3 vjecare, por ish-zyrtarët kanë abuzuar duke e dhënë për një periudhë 10-vjeçare. Faktet për të cilën janë akuzuar të pandehurit, kanë të bëjnë me katër raste për veprën penale “Falsifikimi i dokumenteve” (Ndryshuar me ligjin nr. 9188, datë 12.2.2004) e kryer në bashkëpunim, parashikuar nga neni 186 pgr. 3 – 25 të Kodit Penal. -shtetasi Bujar Barushi, ka fituar një sipërfaqe toke prej 3586 m2, e ndodhur në fshatin Gjuriçaj. -shtetasi Fadil Hoxha ka përfituar një sipërfaqe toke prej 5200 m2. -shtetasi Gjergj Çerri, ka përfituar një sipërfaqe tokë arë prej 2000 m2, e ndodhur në fshatin Bizë. -shtetasi Rruzhdi Alla, ka përfituar një sipërfaqe tokë arë prej 5800 m2, e ndodhur në fshatin Bizë. 1. Sulejman Ibrahimi, datëlindja 01.04.1968, lindur dhe banues në Durrës, i padënuar më parë, i hetuar me masë sigurimi “Arrest në Burg” (vendimi nr. 43, datë 08.02.2018. 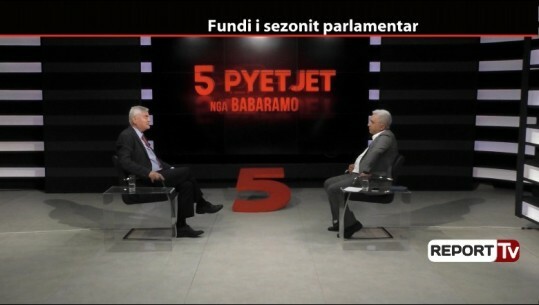 Akuzuar: Se ka kryer veprën penale “Falsifikimi i dokumenteve”(Ndryshuar me ligjin nr. 9188, datë 12.2.2004) e kryer në bashkëpunim (rastet I.a,b,c,d), “Shpërdorimi i detyrës” (ndryshuar me ligjin nr. 9686, datë 26.2.2007) (rastet II.a,b,c) dhe “Korrupsioni pasiv i personave që ushtrojnë funksione publike” e kryer në bashkëpunim, parashikuar nga neni 186 pgr.3 – 25 x 4, 248 x 3 dhe 259 – 25 të Kodit Penal. 2. Shpresa Merdita, datëlindja 20.04.1970, lindur dhe banues Durrës, e hetuar me masë sigurimi “Arrest në shtëpi” (vendimi nr. 44, datë 08.02.2018, zëvendësuar me vendimin nr. 44/2, datë 03.04.2018 lënë në fuqi me vendimin nr. 104/10-2018-1110, datë 31.05.2018 të Gjykatës së Apelit Durrës. Akuzuar: Se ka kryer veprën penale “Falsifikimi i dokumenteve”(Ndryshuar me ligjin nr. 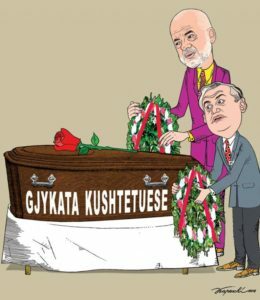 9188, datë 12.2.2004) e kryer në bashkëpunim (Rruzhdi Alla) “Falsifikimi i dokumenteve”(Ndryshuar me ligjin nr. 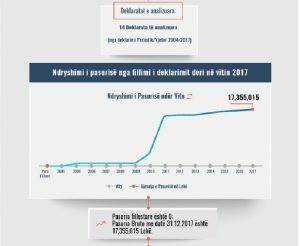 9188, datë 12.2.2004) dhe “Korrupsioni pasiv i personave që ushtrojnë funksione publike” e kryer në bashkëpunim, parashikuar nga neni 186 pgr. 3 – 25, 186 pgr. 2 dhe 259 – 25 të Kodit Penal. 3. Ornela Shëmlikaj, datëlindja 18.03.1994, lindur dhe banues në Ishëm Durrës, e hetuar me masë sigurimi “Detyrim për t’u paraqitur në policinë gjyqësore” (vendimi nr. 44/1, datë 10.02.2018). Akuzuar: Se ka kryer veprën penale “Shpërdorimi i detyrës” (ndryshuar me ligjin nr. 9686, datë 26.2.2007) parashikuar nga neni 248 të Kodit Penal. 4. Enver Shima, datëlindja 05.05.1950, lindur dhe banues në Kuraten, Ishëm Durrës, i padënuar më parë, i hetuar me masë sigurimi “Arrest në Burg” (vendimi nr. 45, datë 08.02.2018 zëvendësuar me masën “Arrest në shtëpi” vendimi nr. 10-2018-408, datë 22.02.2018 të Gjykatës së Apelit Durrës. Akuzuar: Se ka kryer veprën penale “Falsifikimi i dokumenteve” (Ndryshuar me ligjin nr. 9188, datë 12.2.2004) e kryer në bashkëpunim, parashikuar nga neni 186 pgr.3 – 25 x 4 të Kodit Penal. 5. Fadil Hoxha, datëlindja 01.07.1968, lindur në Ishëm, Durrës, dhe banues në Tiranë, i padënuar më parë, i hetuar me pa masë sigurimi. Akuzuar: Se ka kryer veprën penale “Falsifikimi i dokumenteve” (Ndryshuar me ligjin nr. 9188, datë 12.2.2004) nëpërmjet vënies në qarkullim më shumë se njëherë, parashikuar nga neni 186 pgr.2 të Kodit Penal. 6. Bujar Barushi, datëlindja 28.10.1961, lindur dhe banues në Ishëm, Durrës, i padënuar më parë, i hetuar në mungesë dhe pa masë sigurimi. Akuzuar: Se ka kryer veprën penale “Falsifikimi i dokumenteve”(Ndryshuar me ligjin nr. 9188, datë 12.2.2004) nëpërmjet vënies në qarkullim, parashikuar nga neni 186 pgr.1 të Kodit Penal. 7. Gjergji Çerri, datëlindja 10.02.1952, lindur dhe banues në Bizë, Durrës, i padënuar më parë, i hetuar me pa masë sigurimi. 8. Rruzhdi Alla, datëlindja 10.06.1953, lindur dhe në Bizë, Ishëm dhe banuës në Durrës, i padënuar më parë, i hetuar me pa masë sigurimi. Akuzuar: Se ka kryer veprën penale “Mashtrimi” dhe “Falsifikimi i dokumenteve”(Ndryshuar me ligjin nr. 9188, datë 12.2.2004) nëpërmjet vënies në qarkullim, parashikuar nga neni 143 pgr. 1 dhe 186 pgr.1 të Kodit Penal. Lulzim Hamitaj war bei Ausstellung des Zertificates nicht einmal in Albanien, wie TIMS der Polizei Computer festhält. B) Gefälschte Sprach Zertifikate auch bei den Deutschen sind Standard Betrug auch bei Albanischen Ministern. Eine wichtiger Mann in der Kommission, welche die Richter und Staatsanwälte bestätigt hat ein gefälschtes Sprachen Zertifikat! Auch die Flugplatz Direktion, einem Tochter Unternehmen einer Deutschen Firma, produzierte schon viele Skandale mit dem Mafia Manager und Partner von Edi Rama. Dëmi ekonomik mbi 20.5 milion lekë dhe me efekt negativ për buxhetin e shtetit në shumën mbi 56 milion lekë. Nun können diese Leute keine Auskunft geben, wo denn die beschlagnahmten Waren verblieben sind, der Zoll weiß es auch nicht. Früher kostete der Dirketorne Posten am Flugplatz: 250.000 $ pro Jahr. Vor Jahren warnte schon einmal der Gesundheitsminister Petrit Vasili, Saison Lokale zu besuchen. Wild West ist Nichts in Albanien und Tausende von scheren Lebensmittel Vergiftungen vor allem in den Lokale der Kosovo Mafia in Golem, Orikum, Ksmali Inseln sind bei Albaner gut bekannt, so das man inzwischen wo anders Urlaub macht, auch weil die Krankenhaus Versorgung seit 10 Jahren ein Skandal ist. Die Staatsaufsicht stellt fest, das es nicht den geringsten Hinweise, Nachweis gibt, wo die beschlagnahmten Waren des Zolls verblieben sind, oder der Polizei und Lebensmittel Kontrolle? Fisch, Fleisch, Kuchen beschlagnahmt in Shengin von einem Chaoten Schnell Imbiss mit illegalem Wasseranschluss. Tonnen von verseuchtem Fleisch wurde schon beschlagnahmt. Autoriteti Kombëtar i Ushqimit ka konstatuar një subjekt “Fast Food” i cili kryente aktivitet në shkelje të kushteve higjeno-sanitare në Shëngjin. Konkretisht, trupa inspektuese e DRAKU, Lezhë konstatoi se subjekti ‘Fast Food’me përfaqësues, Meriton Krasniqi dhe me nr. Nipti L88008501V kryente aktivitetin në shkelje të kushteve higjeno-sanitare dhe tekniko/teknologjike të manipulimit, ruajtjes së tregtimit të ushqimit. Produktet ushqimore ishin me mungesë të fletë/analizave, certifikatave dhe të etiketimit të këtyre produkteve. Subjektit me emër “Qebabtore te Qarshia” iu sekuestruan 12 kg mish i grirë, 47 kg brum, 5 kg qofte, 2 kg sallam, 3 kg peshk dhe 4 kg byrek të gatshëm. 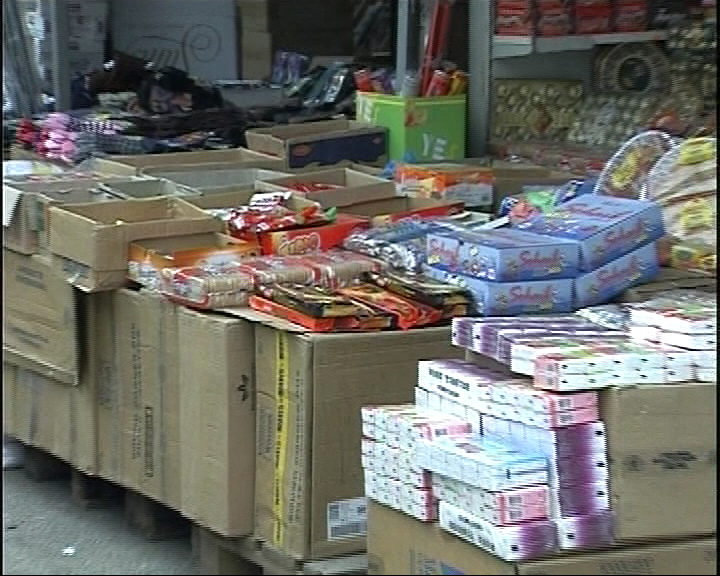 (si produkte të pasigurta për konsumim dhe dërgimin e tyre për asgjesim). Për shkeljet e mësipërme u morën masat administrative me gjobë, 350000 lekë për kushtet higjeno-sanitare, 100000 lekë për mungesë së gjurmushmërisë, 50000 lekë për mungesë etiketimi, si dhe bllokim të menjëhershëm i ushtrimit të aktivitetit deri në plotësimin e kushteve dhe kërkesave ligjore në fuqi. Autoriteti Kombëtar i Ushqimit me qëllim garantimin e sigurisë ushqimore, bën sërish thirrje konsumatorëve që të jenë të kujdesshëm në blerjen e produkteve shtazore duke kërkuar informacione në njësitë e tregtimit të mishit që të jetë i vulosur, i shoqëruar me certifikatë veterinare, kuponin tatimor, si mjet për sigurinë e gjurmueshmërisë së produktit. Gjithashtu inkurajon të gjithë qytetarët të denoncojnë çdo rast therjeje apo tregtimi jashtë standardeve, për të parandaluar çdo tentativë abuzimi, pranë Autoritetit Kombëtar të Ushqimit. Alles was der korrupte Dumme Heiko Maas macht ist peinlich wie bei der Schwuchtel Jens Spahn, oder die korrupten Banden der Entwicklungshilfe, werben ja inzwischen offiziell Ärzte, Krankenschwestern ab, obwohl deren Diplome und Ausbildungswege Nonsens sind, oft nur selber am Kopierer fertiggestellt. Aber das war vor 25 Jahren auch schon bekannt, das Alles zusammengefälscht ist, was mit Anduena Stephan, einer billigen Betrügerin auffällt, welche natürlich auch noch Honorar Konsul von Albanien ist, in Korruptions Sumpf in NRW. Stuttgart ist ebenso in Hand von kriminellen Clans, u.a. von des Enver Shala Clans, dem Kosovo Konsulat und Rezzo Schlauch mischt auch mit inklusive seiner Albaner Ehefrau. der längst in Haft hätte sitzen müssen, als er Stapelweise für Kriminelle Visas besorgte bis 2005. 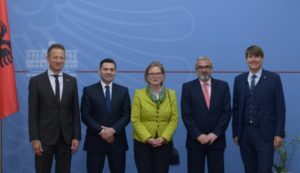 Der Generalstaatsanwalt Adriatic Llalla, wo wollte 2015 Ilir Meta verhaften, dann machte man ihn schnell zum Präsidenten. Foto der Bande, vor 15 Jahren, als Betrugs Maschine unterwegs, bis das BMZ, KfW Betrugs Geschäft in der Insolvenz der Elber Sh.P.K. der Tochter Firma endete. Wenn extrem Dumme auch noch Aussenminister werden, dann werden diese peinlichen Selbstdarsteller, unerträglich. Ein weiteres Problem ist die sogenannte “Entwicklungshilfe”. Heute wissen wir, dass die traditionelle Entwicklungshilfe eher Schokolade für einen Zuckerkranken ist und ersatzlos abgeschafft werden muss. Stattdessen sollte der Norden sein Programm zur Hilfe zur wirtschaftlichen Zusammenarbeit massiv ausbauen. Was spricht beispielsweise dagegen, erfahrene deutsche Ingenieure, die aufgrund ihres Alters in Deutschland keinen Job mehr bekommen, auf freiwilliger Basis nach Afrika zu schicken, um dort vor Ort den einheimischen Unternehmern Tipps zu geben, wie man mit seinen Produkten aktiv auf die europäischen Märkte kommt? Was spricht dagegen, die 0,7% des Bruttoinlandsprodukts der Industrieländer, die im Rahmen der Millenniumsentwicklungsziele in die Entwicklungshilfe gehen sollten, stattdessen in einen großen Fördertopf zu überweisen, der kleinen und mittleren afrikanischen Unternehmen zinslose Darlehen oder gar Beihilfen für sinnvolle Projekte zur Verfügung stellt? Vor allem bei digitalen Dienstleistungen, Software- und App-Programmierung könnten afrikanische Technologie-Cluster mit der richtigen Unterstützung schon vergleichsweise schnell auch weltweit konkurrenzfähig sein und auf den lokalen Märkten sind sie ja schon heute die Marktführer. Staats Tradition, was korrupte Deutsche Diplomaten, Ludgar Vollmer mit Ilir Meta ab 2000 zum Kult Betrieb machten, für die Kosovo, Mazedonische und Albaner Mafia. Mehrfach Identitäten. Scheinehen werden bis heute von der Albaner Mafia organisiert, wie Festnahmen in Shkoder zeigen, wo die Preise früher DM waren, heute €!. Jeder Deutsche Stadt hat solche Strukturen durch die von Deutschen gekauften Politikern genehmigten vielen Konsulate, welche nur der Beschaffung gefälschter Dokumente und Bestätigungen dienen. Wenn eine neue Identät Nichts kostet, Kriminelle Ausländer gestohlene Medikamete auch ohne Problem in Berlin vertreiben könnten. Ein Pharma Betrugsgeschäft ohne Ende. Nehat Kulla als „General Kulla“ bekannt, hat erneut eine Begnadigung vor Gericht beantragt. 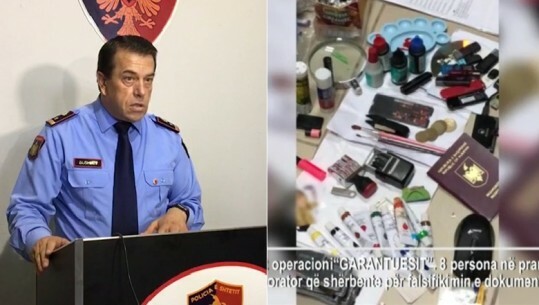 Die kriminelle Gruppe realisiert mit einem Bürger und bulgarischen Staatsangehörigen in den verschiedenen Büros der albanischen Zivilregister Scheinehe Dokumente zu erhalten, und dann zu ihrem endgültigen Bestimmungsort begleitet. Die Straße Personen gefolgt wurde von Albanien (Sizilien) -Italien – Malta – Vereinigtes Königreich, sowie durch eine andere Route Albanien – Kosovo – Kroatien – Italien – Malta – UK – USA. Kriminelle Gruppe wurde beschlagnahmt und ein Labor verwendet , um Dokumente für die Fälschung. Policia e qytetit verior ka goditur një grup që trafikonte klandestinë shqiptarë në SHBA dhe Angli duke arrestuar 9 persona, ndërsa 2 janë shpallur në kërkim. Uralte Mafia LOkale wurden nun erstmalig geschlossen für 30 Tage: Darunter das berüchtigte „ARAGOSTA“ was längst abgerissen gehört hätte, aber schon 1996 Terffpunkt der POlizei und Kommunalen Politik Eliten war, heute ein Hotel, durchaus mit besseren Ruf, aber mit einem einschlägig vorbestraften Besitzer auf den auch ein Sprengstoff Anschlag schon gemacht wurde. Dann das berüchtigte 4 Laternenen LOkal, der Berisha Mafia, vollkommen illegal gebaut, in einem Appartmentblock wo der Berufsverbrecher von Berisha, Kabinet Chef Oerd Bykylbashi in einem geschenckten Appartment wohnt der Rruga Taulantia in Durres, Zentrale Verbrecher Sammel Stelle, wo man sich auch neue Identitäten kaufen kann. Die berüchtigte „Havanna“ Disco in Dhermi, Hotels in den Ksmali INseln, alle für extremen Betrug und Skandale bekannt. Das Tropikal Resort, das schon von einer Bank versteigert wurde, lupenreiner Kredit Betrug vor Jahren, Alles bekannte Mafia Lokale und Bauten. 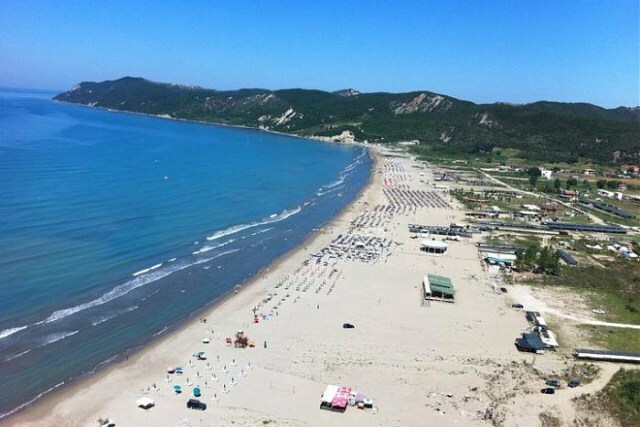 Bizneset e bllokuara janë; Tropikal Resort, Durrës; Piratët, Dhërmi; Kompleksi San Pietro, Golem, Durrës; Restorant “Kalaja e Tetovës”, Zona Plazhit Iliria, Durrës; Restorant Ibiza, Gjiri i Lalëzit, Durrës; Market Bolena, Sarandë. Drejtoria e Përgjithshme e Tatimeve ka bllokuar për 30 ditë një sërë subjektesh në qytete të ndryshme për moslëshim të kuponit tatimor. Geschützt durch schweigende Verwandte, wo die Eltern in Griechenland sind, die Kinder auf Raubüberfall sind mit dem Ausgangspunkt einer Wild West Villa irgendwo gebaut, als Stützpunke. Anna Malaj organisierte mit 2 Vettern Tankstellen Überfälle im Raum Mallakastre, Süd Albanien. Man benutzte auch hierfür Deutsche Autonummern. Ndalohet grabitësja e karburanteve, identifikohet dhe shpallet në kërkim bashkëpunëtori i saj, kushëri me të. 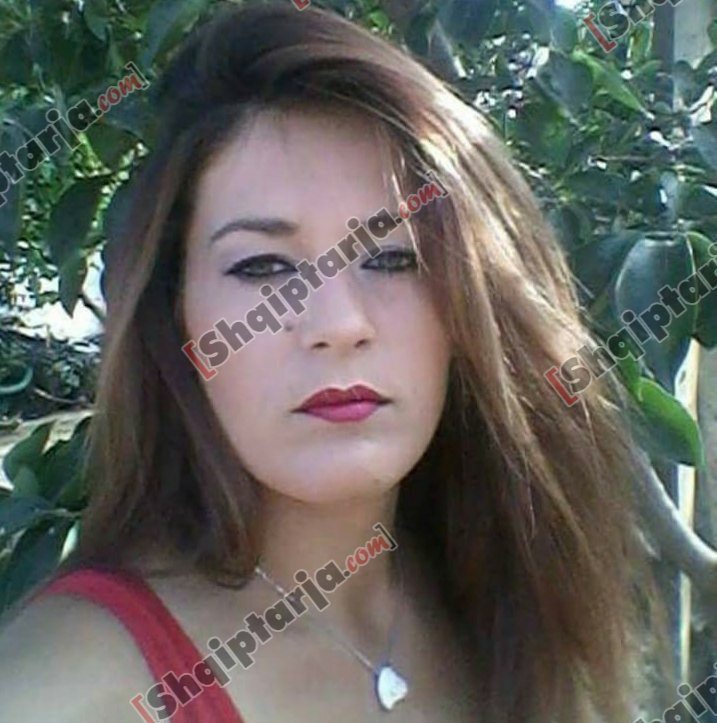 Anna Malaj, 31 vjeçe, nënë e një fëmije, është autorja e grabitjes së një pike karburanti në bashkëpunim me kushëririn e saj E.G, 22 vjeç. Arrestohet grabitsja e karburanteve të Fierit dhe Mallakastrës. Bëhet fjalë për 31-vjeçaren Anna Malaj, e cila ishte kthyer në tmerrin e karburanteve gjatë natës. Anna Malaj së bashku me kushuririn e saj E.G 22 vjeç të shpallur në kërkim, brenda 15 ditësh kishin grabitur një karburant në Levan të Fierit, ndërkohë që kishin tentuar të vidhin edhe dy karburante të tjerë, por pa sukses. „Shqiptarja.com“ ka siguruar edhe foton e grabitëses 31-vjeçare, një vajzë simpatike e cila në pamje të parë nuk të krijon dyshimin se është grabitëse gjakftohtë nën kërcënimin e armëve. E reja është nënë e një e një fëmije, ndërsa mësohet se bashkëshorti i saj ndodhet në Greqi. Kamera e Report Tv mbërriti në banesën dykatëshe të Annës në fshatin Visokë të Mallakastrës. Familjarët refuzojnë të flasin, ndërsa nga sa duket nga pamjet, familja jeton në kushte normale. Mbeten të paqarta motivet që shtynin Annën të grabiste nën kërcënimin e armës. Dy kushërinjtë në datën 2 korrik kanë marrë 300 mijë lekë të vjetra nga një karburant në Levan, ndërkohë që në datën 7 korrik kanë tentuar të vjedhin një pikë karburanti në mallakastër, por janë përleshur me punonjësit dhe janë larguar. Në datën 15 korrik pre e dy grabitësve ka rënë që pikë karburanti në lagjen 1 maji në Fier, por edhe në këtë rast punonjësit nuk i kanë lejuar të marrin xhiron ditore. Për të realizuar grabitjet, Anna Malaj dhe kushëriri i saj përdornin një pushkë gjahu dhe një automjet të cilit i vendosnin targa të vjedhura. 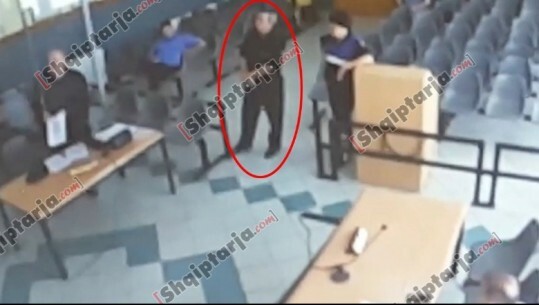 Arma e gjahut së bashku me 6 fishekë janë sekuestruar nga Policia, ndërkohë që është gjetur edhe makina si dhe targat e makinës të falsifikuara. Dy kushërinjtë akuzohen për vjedhje me armë dhe armëmbajtje pa leje, vepra penale që parashikojnë dënim deri në 10 vite burg. Notare, Richter, Staatsanwälte, Universitäten: Alles Phantom Instutionen, wo Klientel Politik pure herrscht. Der grössten Fehler war die Verfassungsänderung von 2008, der EURALIUS Justiz Mission, ebenso der IRZ-Stiftung, welche nicht Alarm schlug, weil ihr Partner dann sogar als Präsident kanditierte. Mit der Verfassungänderung, konnte das Parlment einen Präsidenten mit nur 71 Stimmen wählen, was ins Desaster führte, denn der Präsident war auch für die Richter Bestellung zuständig. Der Präsident Bamir Topi, fälschte ebenso Testamente rund um Grundstücke, entschuldigte sich später das er den Coup unterstützte, so das der Nachfolger ein Super Idiot des SIGURIME wurde, mit Bujar Nishani (Mehmeti) mit seinem hochkriminellen Bruder: Sokol Nishani und Staatsanwalt in Durres. Mehrere Ex-Justizminister sprechen sich klar gegen die Justiz Mission der EU aus, gegen die EU Delegation von Knut Fleckenstein, welche von Georg Soros kontrolliert werden mit gekauften EU Leuten. LSI kundër delegacionit të BE në Tiranë: Heshtni se boll dëmtuat! In der Titel Story, das es immer mehr Funktionale Analaphabeten gibt, was vor 10 Jahren gut bekannt war die Dümmsten oft aus Georg Soros Bildungs und Gender Zirkeln, haben das Justizministerium unter Kontrolle, Endri Fuga und Kollegalen versuchen wie Edi Rama die eigene Dummheit zuvertuschen, zu verschleiern ihrer Mafia Operationen. Albania is not being governed, because this country doesn’t have a government in office. Instead, it has a gang of bandits. 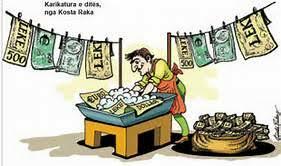 “Corruption is a serious obstacle for foreign investments. I am convinced that more should be done in the fight against corruption. It’s necessary to be efficient in the process of investigating and convicting people charged with corruption”.This was declared today by OSCE ambassador to Tirana, Bernd Borchardt at the conclusion of the project called “Supporting anti-corruption measures in Albania”. According to him, OSCE helped for the creation of the “stop-corruption” portal, which helped over 100 corruption cases to be referred to the prosecution. “But, where are the results? Where are the convictions? The same question must be asked about electoral crime. Where are the cases of electoral theft referred to the prosecution?”, he appealed. Meanwhile, Borchardt added that “another problem which relates to elections: the international community has long recommended the introduction of a legal framework on the funding of political parties in order to have an effective auditing system. How much have we advanced with this issue?”. Die EU Ratten, inzenieren diese Show, nur um Millionen zuvernichten, in dunklen Kanälen verschwinden zulassen, denn niemand braucht die Ratten der EU Vertretung in Tirana. Was geht in den Köpfen dieser Ratten der Inkompetenz vor? 3 Mal, hoch Kriminelle als angebliche Justiz Experten, wo Millionen verschwanden. Kontrolli i Lartë i Lartë i Shtetit arrin në konkluzionin se Autoriteti Kombëtar i Ushqimit nuk ka arritur të garantojë besimin e konsumatorëve për sigurinë ushqimore në vend. Në një analizë për këtë sektor, KLSH vëren se, performanca e dobët vjen për shkak se kuadri rregullator është i paplotësuar, ka mbivendosje, dublime kompetencash dhe mungesë të ndarjes së përgjegjësive institucionale. Nuk ka funksionuar bordi, komiteti shkencor me panelet, si dhe drejtorët e përgjithshëm pas vitit 2016 janë emëruar në kundërshtim me kërkesat përkatëse ligjore. Sipas KLSH, Autoriteti Kombëtar i Ushqimit ka shfaqur mangësi në administrimin e shërbimit civil, si dhe nuk ka një shpërndarje racionale të inspektorëve në rajone dhe sipas sektorëve brenda tyre, ka kapacitete të dobëta inspektuese si pasojë e largimeve të paligjshme, mungesës së përputhjes së kritereve të formimit profesional; mungesës së trajnimeve, testimeve, kualifikimeve dhe për pasojë cilësi dhe numër i ulët e inspektimeve. Nga ana tjetër, në analizë vërehet se nuk janë trajtuar siç duhet masat administrative të dënimit me gjobë të subjekteve të gjendur në kundërshtim me ligjin, pajisjet laboratorike në masë të konsiderueshme janë të amortizuara e jashtë përdorimit dhe laboratorë janë të paautorizuar, mungojnë investimet në asete e infrastrukturën inspektuese, si dhe në pajisjet laboratorike me shtrirje në të gjithë vendin, të nevojshme dhe të domosdoshme për përmirësimin e sigurisë ushqimore në vend. n Albanien, sollten eine Hirnlose NGO Truppe die Justiz übernehmen, was praktisch von den EU Banden gefördert wird. Andere Super Idioten der EU im Betrugs Imperium der EU. Lachkrampf über diesen Idioten, mit seinem Dumm Geschwätz in Tirana, was man in der TV Aufnahme schnell erkennt. Hier tobt sich der vollkommen inkompetende Betrüger und schlechter Schauspieler: Sylvain Gamber aus. Wegen Betrug wird gegen Klodjan Allajbeu, dem Direktor des American Hospitals ermittelt, der zugleich Verwaltungs Direktor des Mutter Theresa Krankenhaus ist, Phantom Patienten abrechnet. Er bläht die Patienten auf, ist mit der Betrugs Universität EPOKA ebenso verbunden. Die grössten Langzeit Verbrecher und Betrugs Organisation in Europa: Rechtsgutachten machen, für Verbrecher Kartelle, anhand fehlender und falscher Übersetzungen, zeigt die kriminelle Energie dieser Banden. „useful idiots“ werden entsandt, und Richter, die vom Aufbau, Implementierung einer Justiz keine Ahnung haben. Zuständig ist aber auch lt. Verfassung, nur das Verfassungsgericht und nicht dubiose Gestalten, welche nur gefälschte Übersetzungen vorliegen haben. Sind diese Leute so korrupt und dumm: Das steht nach diesem erneuten Debakel, 25 Jahre Debakel ausser Zweifel. 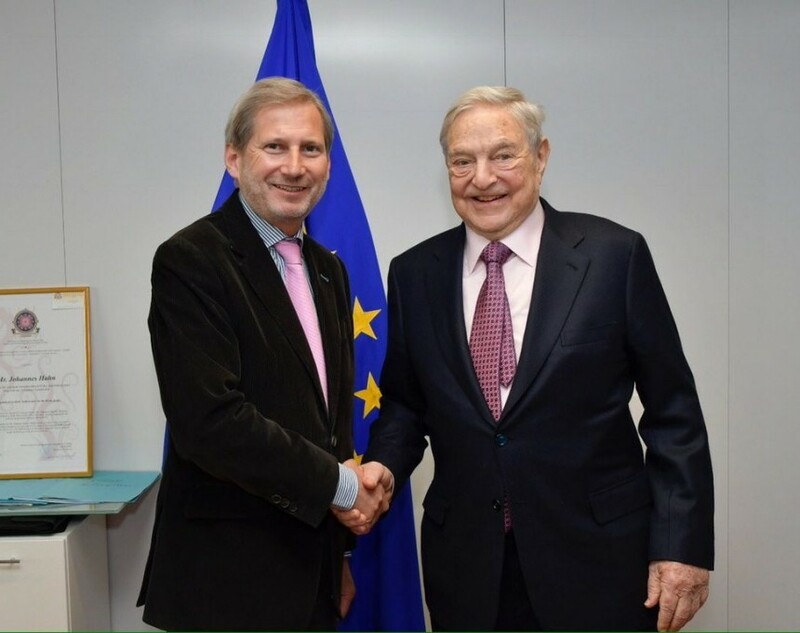 „Putsch“ von Georg Soros Kriminellen, welche sich über die Verfassung stellen, mit Hilfe des US und EU Botschafters, was Albanien nur noch mehr ruinieren wird, weil Edi Rama, vor 15 Jahren schon als Drogen Boss dokumentiert wurde, als Nr. 1 bei Rechtsbruch, und immer dabei Georg Soros Kriminelle, NGO Leute.lt. Verfassung, dürfen solche Leute wie Arta Marku nicht gewählt werden, durch die Klientel Verbindung von und mit Ulsi Manja, dem Rechts Kommission Vorsitzden. In Brüssel und Berlin ist man dabei, neue Formen des Millionen schweren Diebstahles zufinden, wie man mit „usefuls idiots“ auch nach 25 Jahren, wo nie ein Gesetz implementiert war, weiterhin Millionen zustehlen. Diese Leute sind gefährlich Stŕohdumm, lesen ihre eigenen Berichte und Verfassungs Änderungen nicht, sind „functional illerate“. Letzter Termin war 31.8.2017, was bis heute nicht geschah, verhindert wird. Die Ober Idioten loben sich wieder mal selbst! Verkauf der Justiz, an das kriminelle Enterprise des Edi Rama! Keiner hat eine Ausbildung, Juristische Erfahrung, verkaufen sich im Betrugs Modell als Experten, leiten diesen Unfug. NGO Idioten ohne Qualifikation, leiten nun das Justiz Ministerium, rund um die korrupte EU Bande. Gerti Shalla, Jan Rudolph, Marcus Johnson (USAID: welche selbst dem US Kongreß erklären können, wo die Milliarden verblieben sind, identisch wie de rPentagon), welche als Verbrecher Organisation auftrat, über den AAEF Fund, wohl 1 Milliarde stahl, Geldwäsche Banken eröffnete, für Drogen Geschäfte und Landdiebstahl mit gefälschten Urkunden. 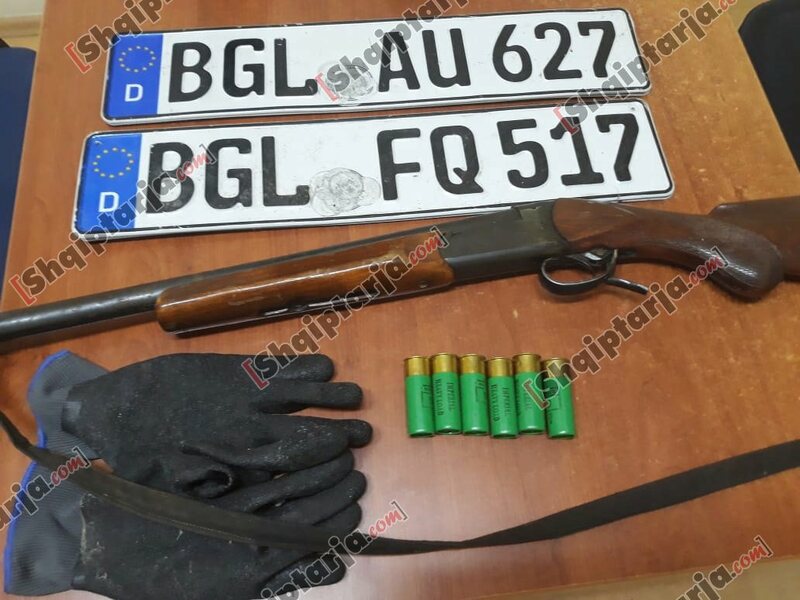 Abteilung der „useful“ Idiotes in Tirana, die Botschafter, die ihre Profil Neurose befriedigen, wenn man Foto Termine mit Kriminellen macht. Aus dieser NGO Mafia kommen heute Botschafter, besetzen alle Posten, obwohl man weder einen Beruf gelernt hat, oder Kompetenzen, Qualifikationen hat. Verbrecher Imperium korrupter Deutscher Politiker, u.a. 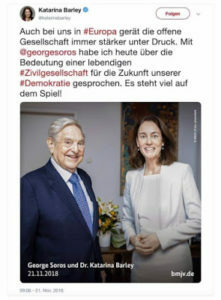 mit den DAAD Programmen und Georgs Soros’s „Open Society“ und mit vielen NGO’s. Peinlichkeit der Deutschen Aussenpolitk, wo die Open Society, direkt durch ehemaligen Mitarbeiter, bestens bekannt ist für Betrug, Manipulationen. Wie die IEP Militär Studie Kosovo 2007, dokumentiert, sind alle Institutionen von der Mafia unterwandert, inklusive der NATO Stäbe im Kosovo, die EU Botschaft, die KAS und CDU Vertretung sowieso. „CAMMORA“ identische Deutsche Organisation, wo ebenso niemand reale Erfahrung und Kompetenz hat, niemand ein Konzept hat, man nur Millionen stehlen will in Tradition und in vielen Ländern. Tarnung von Betrugs- und Bestechungs Geschäften für Deutsche Firmen, erpresste Privatisierungs Geschäfte, Kick Back Geschäfte der KfW, als System in übelster Art. Diesmal erneut , wie man Mafiös, mit gefakten und erfundenen Rechtsgutachten, auch die Albanische Verfassung aushebelt, ignoriert, um die eigene Inkompetenz, zu vertuschen. Der Vorgänger Missionsleiter Rainer Deville, musste wegen Inkompetenz gehen, die jetzige Leiterin: Dr. Agnes Bernhard, ist auch nur ein Betrugs Phantom um Geld für Nichts abzuzocken übler als die „Nghradeta“. 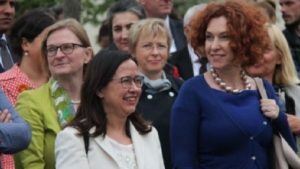 Gefakte Abstimmungen vor aller Augen im Parlament, geben dieser Mafiös aufgestellten Mission, vor allem der korrupten EU Botschafterin Romana Vlahudin in Tirana, korrupte Inkompetenz: Politisch bestimmt, ohne jede Qualifikation, welche schnell von der Balkan Mafia eingekauft wurde, es auch schon war in Kroatien. In einem Interview mit De markieren EU-Botschafter Auspuffen den Erfolg einer Reform, die als „atemberaubend“ bezeichnet ist und er begründete die Verzögerungen, die das Land mit einem verkrüppelten Justizsystem verlassen haben. MItglied im Frauen Selbstdarsteller Club, wo auch Frank Walter Steinmeier, Heiko Maas, Jens Spahn und die anderen Schwulen Banden dazu gehören, wenn keine Kompetenz gefragt ist. Investimet e BE në Ballkanin Perëndimor, të vazhdueshme për një Europë të lirë dhe në paqe, deklaron në intervistë ekskluzive për DW Romana Vlahutin, Ambasadore e Delegacionit të BE në Shqipëri. DW: Znj. 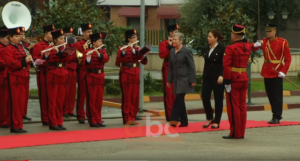 Ambasadore Vlahutin, Komisioni Europian dhe qeveria e Shqipërisë kanë filluar këtë javë procesin e vlerësimit analitik ose screening për reformat dhe rezultatet e tyre të deritanishme në Shqipëri. Cilat janë pritshmëritë e Komisionit nga ky process, në kuadër të angazhimit të tij për të mbështetur Shqipërinë në hapjen e negociatave të pranimit në BE, në qershor 2019? Richter Vermögen, welche schlagartig anschwellen, denn die Super Mafia rund um Drogen, Grundstücke zahlten schon 1 Millionen € damit Verfahren eingestellt werden. Opfer der Privatisierung und von Berufskriminellen der Internationalen! 40 % sind inzwischen ausgewandert, aus dem NATO Staat, wo das Militär schon lange nicht funktioniert, von Kriminellen übernommen wurde, die der Skandal rund um die „Küsten Radare“ zeigt, die Beförderungs KLientel Systeme der Albaner Mafia. Internationale Medien, das die Albanische Justiz nicht mehr funktioniert, nachdem den Skandal Auftritten ohne Konzept der EU und IRZ-Mafia aus Deutschland. 25.500 Gerichtakten und Fälle, welche vom höchsten Gericht nicht mehr bearbeitet werden können und die Firmen, vor allem auch US Firmen verlassen das Land. Der ständige Wechsel in der Adminstration, wurde schon in der GHH Studie 2001 der GTZ, kritisiert, eine der Unfugs Studien ansonsten der GTZ um Geld zu vernichten. Geschehen ist Nichts die Ausbildung hat sich im Nichts aufgelöst in Albanien. Billigste Show, Lehrmeister die korrupten Betrugs Banden von Georg Soros, der Deutschen IRZ Stiftung, eine „Camorra“ identische Organisation, und die EU Banden, welche sogar das Verfassungsgericht eliminiert haben! Mit einem Phantom Gesetz für Dumme einem Gesetz für die Administration Schule, ist man ebenso im Parlament gescheitert, wo Klientel Idioten der Mafia nur Pseudo Diplome erhalten sollte.Warum wollen die Hirnlosen Deutschen der IRZ-Stiftung, die EU Banden wohl eine Akademie für die Administration per Gesetz absichern, wo genau diese Ausbildung im Desaster von Dumm Kriminellen endete in der Klientel Politik, wo man das Deutsche Justiz Modell 1 : 1 kopiert hat mit einer Weisungsgebundenen Null Kompetenz Justiz was mit Susanne Baer (Null Verstand Grün-Rot Verfassungsrichterin) einer billigen Gender Betrügerin anfängt und der Generalstaatsanwälint Margarete Kopper mit Null Erfahrung und Kompetenz. Vom CIA Vertreter David Munz der US Botschaft schwer als Versagen der Abgeordneten und aller Parteien kritisiert. 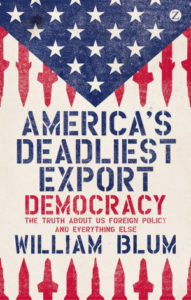 Real nutzten die extrem dummen Mafia Vertreter, welche sich Regierung schimpfen, nur den Weggang des US Botschafter Donald Lu aus und die Hirnlosen Deutschen, EU Vertreter, nicken sowieso Alles ab in Tirana, für einen Fototermin mit Mördern, Betrügern, Drogen Bossen und Schlägern. Im Club der Idioten und InKompetenz: der alte Grundstücks Direktor von Vlore wurde entlassen: Sokol Bana, der Neue schwätzt von Kontrollen usw.. obwohl es weder richtige Vermessung, Geologische Gutachten gibt, die Universitäts Ausbildung im Null Bereicht liegt. 11 Millionen € gestohlen, wie die Staaatsaufsicht kritisiert, Sozialhilfe und Darlehen! Richter, Politiker stahlen die Gelder, mit dubiosen Anträgen. 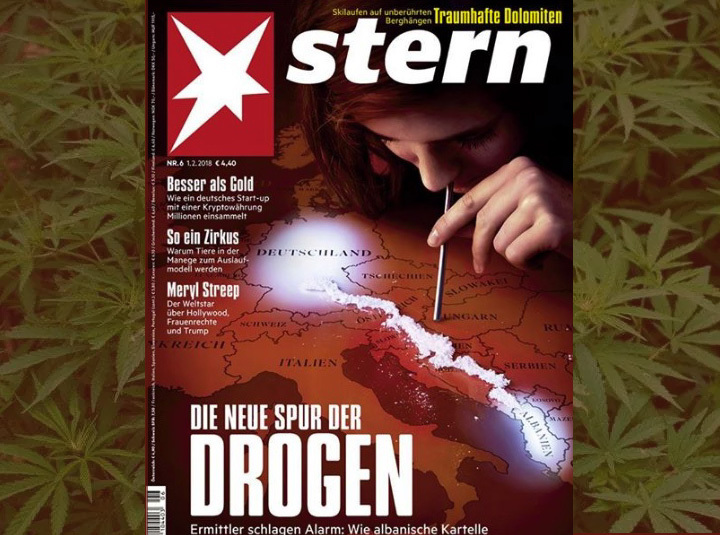 Ein identisches System wie über die KfW Bank – Pro Credit Bank, die EU Agrar Funds Gelder direkt für den Anbau der Cannabis Plantagen und Kokain Importeuere und Verteiler für Illegale Bauten umleitete mit Regierungs nahen Familien. Drejtori i përgjithshëm i Hipotekave, Valdrin Pjetri, ka kryer sot një inspektim në strukturat e ZVRPP Vlorë, ku ka folur për sezonin turistik. Nga qyteti bregdetar, Pjetri ka deklaruar se po merren masa për sezonin e verës . Drejtori i përgjithshëm i Hipotekave, Valdrin Pjetri, ka kryer një inspektim në strukturat e hipotekës Vlorë, nga ku njoftuar për një shërbim të diferencuar gjatë muajve të verës në shërbim të emigrantëve.Drejtori i Hipotekave ka thënë se përveç denoncimeve për abuzime në Hipoteka, janë marrë të gjitha masat për të hapur sportele shtesë në shërbim të qytetarëve dhe për të ulur fluksin. Platforma e bashkëqeverisjes është gjetja e zgjidhjes për çdo qytetar që i kërkohet bakshish, ose trajtohen jonormal nga punonjësit. Nga momenti që kjo ankesë vjen në platformë, zyra qendrore për 10 ditë është e detyruar t’i kthejë përgjigje qytetarëve. Kjo është masa që është e parë që ne marrim. Masat e tjera, nga zyra qendrore ka patur nga largimi nga puna te kallëzimi në prokuroritë e rretheve respektive. Krahas shtimit të sporteleve shumë prej shërbimeve që lidhen me rregjistrimin e pronave mund të merren nga portal E-Albania. Drejtori i përgjithshëm i Hipotekave, ka folur dhe per shkarkimin i ish krye-regjistruestuesit te Vlores pak ditë më parë, Sokol Bana. Do të ketë kontrolle të vazhdueshme nga zyrat qendrore. Ne vijmë në çdo zyrë për të parë sjelljet që ka patur punonjësi, do merren masa, nuk do të ketë vetëm shkarkime por edhe kallëzime, kjo është pak, jo e sigurtë. Kemi marrë masa t’u ofrojmë kushte punonjësve tanë, të plotësojmë sportelet me punonjës, që t’iu ofrohet shërbimi qytetarëve, që t’i plotësojmë me staf të munguar, të plotësojmë organikat. Ish-drejtori s’është në kallëzim penal. Nuk është kryer kallëzim penal ndaj drejtorit të Vlorës. Kontrolli ka konstatuar shkelje. Chaos total wie in allen Albanischen Institutionen und nun seit 10 Jahren im MIlitär ebenso, wo jede Funktion durch die Ignorierung aller Beförderungs Richtlinien vor 10 Jahren und vor 12 Jahren in der Polizei begann. Elite Soldaten begingen Fahnenflucht, ein Idiot in Folge, mit selbst gebauter Admirals Uniform, ohne je ein Kommando zuhaben, wurde Flotten Chef seit Jahren nun schon der Dritte Idiot, was an 1996 erinnert, mit einem Phantom Admiral, zur Betreuung der Bundeswehr in Albanien. Anfragen bleiben unbeantwortet, weil die Adviser schon Idioten sind, Nichts kapieren aus der Schwulen Truppe des Endri Fuga und den vermurksten Gestalten rund um Edi Rama, Ilir Meta. Albanien macht ein Wettrennen, wer Dümmer ist in Tirana mit diversen Botschaftern und Botschafterinnen, die mangels IQ nur noch Fototermine machen. Und bei so einem kriminellen Haufen, wo höchste Elite Offiziere Drogen schmuggelten, Albanische Militär Attachinnen in Ankara, mit dem Rang eines Oberstleutnant, über den Sohn Heroin Transporte nach Albanien organisierten. Der Chef Helikopter Ausbilder in Spanien absstürzte als er mit einem Mafia Helikopter Drogen aus Marokko in seinem Urlaub nach Spanien flog. Die dümmsten Mafia mit den weiblichen Verteidigungsministern, wo in Folge das MIlitär total ruiniert wurde, was ja nicht neu ist. Nun kritsierte ein hoher Offizier erneut die Chaos Situation im Militär. Skandale über Skandale! Geld gibt es nur noch für Schwulen Clubs und Förderung mit LBGT Banden, seitdem der dumme Michael Roth und Heiko Maas das Sagen haben, was an den Schwulen Jens Spahn erinnert, der identische Geschäfte macht im Gesundheitministerium, oder Wovereit mit seinen rosa Kacheln für den Skandal BER Flugplatz. Alex Soros, Sohn des Georg Soros, durfte sich austoben auch bei dem Justiz Chaos, wo Nichts mehr funktioniert. Die dümmste Mafia hatte schon mit Fatmir Mediu das Militär übernommen, wo in Folge die erfahrenen Militärs durch Idioten ersetzt wurden, was wohl NATO konform ist. Wo wurde eine solche Praxis gesehen und gehört? Nun, wir haben eine übermäßig symbolische Armee, aber die größte Katastrophe ist, dass für ihre Ausbildung, Vorbereitung und rechtliche Ausrichtung die Politiker des Verteidigungsbereiches spotten. 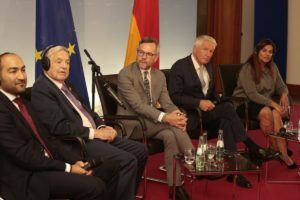 Als Institute vor drei Monaten haben wir uns schriftlich an Minister Xhacka, vor zwei Monaten, an den Premierminister und einen Monat vor dem Oberbefehlshaber, Herrn Meta, gewandt. Schweigen und Nicht-Antwort erfordern die Veröffentlichung und Bewertung der öffentlichen Meinung, die Steuern zahlt, um die Gesetze des Landes durchzusetzen. 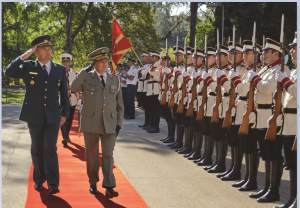 Përpara dhe pas anëtarësimit të Shqipërisë në NATO janë hartuar dhe miratuar me dhjetëra ligje për ndërtimin,funksionimin dhe kontrollin e Forcave të Armatosura. Por çuditërisht edhe pse ligjet janë në fuqi ato shkelen me ndërgjegje të plotë nga ministrat e mbrojtjes dhe shefat e shtabit të përgjithshëm,kryesisht në dhënien e gradave madhore të gjeneralit dhe në mos zbatimin e VKM Nr.194,të datës 4 Mars 2015 “Për njësimin e gradave ushtarake me funksionet organike në Forcat e Armatosura të Republikës së Shqipërisë”. Kushdo studiues vendas apo i huaj,vetëm duke hyrë në sitet e ministrisë së Mbrojtjes dhe të Shtabit të Përgjithshëm,tre komandave të Forcave të Armatosura dhe dy komandave mbështetëse kupton me një herë se si shkelen me të dy këmbët ligji për gradat madhore dhe Vendimi i këshillit të Ministrave për njësimin e gradave të ushtarakëve me funksionet organike. Për këtë anomali dhe pa përgjegjshmëri të këtij dikasteri,mban përgjegjësi direkte edhe kryeministri e presidenti në emërimet që kanë miratuar sipas propozimeve të ministrave të mbrojtjes. Shefi i Shtabit të Përgjithshëm duhet të jetë me gradën gjeneral lejtnant (OF8).Pra ai vjen në këtë funksion mbasi ka kaluar në detyra më të ulëta gradën e parë të gjenerali; gjeneral brigade dhe gjeneral major. Ndërsa aktualisht ne kemi shefin e shtabit të përgjithshëm ,i cili ditën që mori gradën e parë të gjeneralit u emërua direkt shefi i shtabit të përgjithshëm. Pra janë shkelur haptazi ligjet dhe procedurat e gradimeve dhe funksioneve. Shefi i shtabit të përgjithshëm duhet të ketë patjetër gradën më të lartë në çdo kohë në forcat e armatosura. Por çudia shqiptare vazhdon. Ai gjeneral me një yll kërkon të komandojë vartësit e tij që janë gjeneral me dy yje,me nga një gradë më të lartë. Le të më gjejnë një vend të NATO-s mua që aplikon këto anti rregulla dhe anti ligje. Ligjërisht komandanti i Forcave Detare duhet të jetë gjeneral me një yll dhe patjetër ushtarak i arsimuar dhe kualifikuar për drejtimin e këtyre forcave. Aktualisht në këtë komandë janë shkelur dy ligje. Komandanti nga një yll që duhet të ketë është me dy yje, nënadmiral, dhe më e madhja nuk është fare i forcave detare por i sjellë nga forcat tokësore. 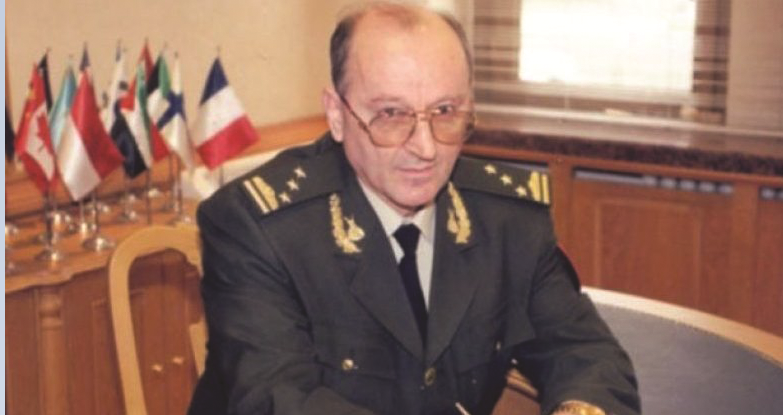 Ai mban veshur uniformën e forcave detare,ndërsa paletat me gradat e ka të forcave tokësore. Me gradën që ai ka ligjërisht duhej të ishte komandanti i Forcave Tokësore ose zëvendës shef i shtabit të përgjithshëm. Kohët e fundit komandanti i Doktrinave dhe Stërvitjes është emëruar një mjek ushtarak. Është në kuptimin e plotë fatkeqësi kombëtare të tallesh me mbrojtjen dhe sigurinë kombëtare. Komisioni i karrierës së gradave madhore hap konkurrim vetëm për ato pozicione gjeneralësh që lindin nevojat kohore. Në Vendimin e Këshillit te Ministrave nuk pasqyrohet në asnjë vend nevoja e gradës së gjeneralit në shërbimin shëndetësor. Atëherë Zonja Kodheli si e listoi në këtë komision dhe si ia relatoi dhënien e gradës madhore të gjeneralit. Por shkelja flagrante e ligjit nuk përfundon këtu. Atë ministrja Xhaçka e propozoi tek kryeministri për komandant të komandës së Doktrinave ushtarake dhe të Stërvitjes. Si mund të drejtojë dhe të kontrollojë doktrinat dhe stërvitjet ushtarake një doktor, mjek?!. Ku është parë dhe është dëgjuar një praktikë e tillë. 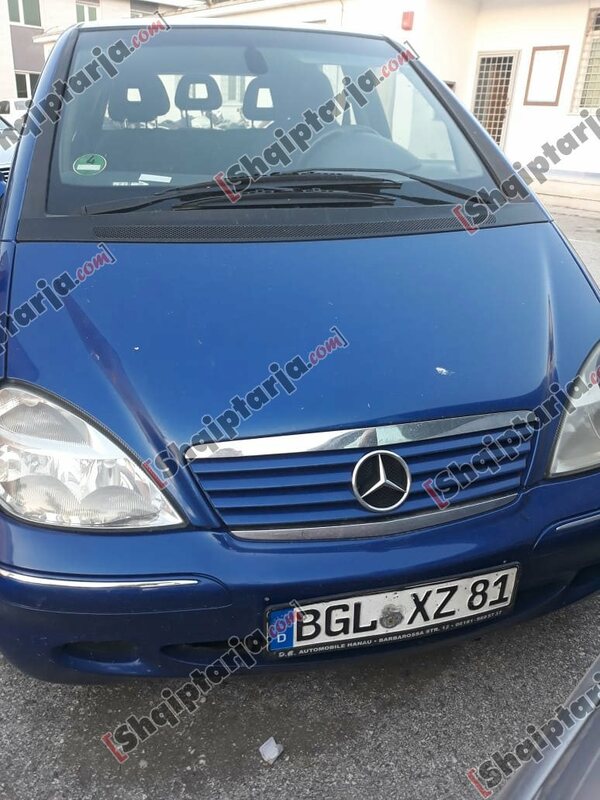 Mirë që ne kemi një ushtri tepër simbolike, por fatkeqësia më e madhe është se edhe për stërvitjen, përgatitjen dhe drejtimin e saj ligjor politikanët e fushës së mbrojtjes tallen. Si institute në para tre muajsh i jemi drejtuar me shkrim ministres Xhaçka, para 2 muajsh kryeministrit, ndërsa para një muaj komandantit të përgjithshëm, Zotit Meta. 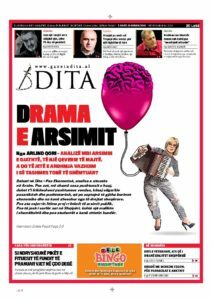 Heshtja dhe mos reagimi kërkojnë publikimin dhe vlerësimin e opinionit publik, i cili paguan taksat për të zbatuat ligjet e vendit. Ish-atashe ushtarak në Republikën e Turqisë dhe këshilltar i ministrit të Mbrojtjes.